Among all the Native American tribes, the Iroquois are some of the most well-documented Native Americans in history. Indigenous to the northeast region of what is now the United States, and parts of Canada, they were among some of the earliest contacts Europeans had with the native tribes. And yet they have remained a constant source of mystery. The name "Iroquois", like many Native American tribal names, is not the name the people knew themselves by, but a word applied to them by their enemies, the Huron, who called them Iroquo (rattlesnake) as an insult. They call themselves "Niitsitapi" ("Original People"), but in the United States, they are known as the Blackfeet. In Canada, they are known by their more particular band names, one of which is Blackfoot, but regardless of the name, they are a tribe of Native American peoples ("First Nations" in Canada) who, until the modern time period, lived in small, decentralized bands and hunted the bison on the northern Great Plains. In the 18th century, when Europeans first came upon the giant mounds and earthworks dotting the North American landscape, they couldn't imagine that the Native Americans they came into contact with were capable of producing such advanced technology and masterful engineering. In fact, when President George Washington sent Rufus Putnam to survey land in southeastern Ohio, Putnam reported that he'd discovered an impressive walled earthwork complex, which was obviously the work of some long-forgotten ancient civilization. Among Native American tribes, the Sioux are one of the best known and most important. Participants in some of the most famous and notorious events in American history, the history of the Sioux is replete with constant reminders of the consequences of both their accommodation of and resistance to American incursions into their territory by pioneering white settlers pushing further westward during the 19th century. One of the most famous Native American tribes on the Great Plains is the Cheyenne, and their fame may be surpassed only by their influence on American history. The Cheyenne shifted from a sedentary agricultural society to the kind of nomadic group many envision when thinking of groups on the Plains. Land disputes and conflicts with white settlers and the Cheyenne set in motion the chain of events that led to the most famous battle among Native Americans and the American government: the Battle of the Little Bighorn. Eye opening overview of the journey, and strife. 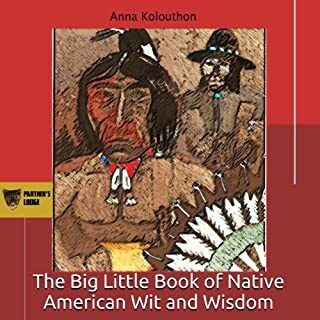 Taken from writings, orations, and recorded observations of life, this audiobook selects the best of Native American wisdom and distills it to its essence in short, digestible quotes - perhaps even more timely now than when they were first written. In addition to the short passages, this edition includes the complete "Soul of an Indian", as well as other writings by Ohiyesa (Charles Alexander Eastman), one of the great interpreters of American Indian thought, and three great speeches by Chiefs Joseph, Seattle, and Red Jacket. 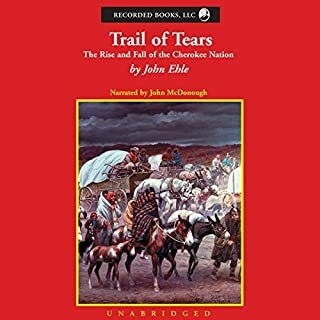 True insightful sacred wisdom to last a lifetime..
From the Trail of Tears to Wounded Knee and Little Bighorn, the narrative of American history is incomplete without the inclusion of the Native Americans that lived on the continent before European settlers arrived in the 16th and 17th centuries. Since the first contact between natives and settlers, tribes like the Sioux, Cherokee, and Navajo have both fascinated and perplexed outsiders with their history, language, and culture. Though they are not as well known as tribes like the Sioux or Cherokee, the Creek are one of the oldest and most important Native American tribes in North America. With roots that tie them to the Ancient Moundbuilders, the Creek were one of the most established groups in the Southeastern United States, and came to be known as one of the Five Civilized Tribes. It's also believed that the Creek were the first natives encountered by Spanish explorer Hernando De Soto's historic expedition in the mid-16th century. 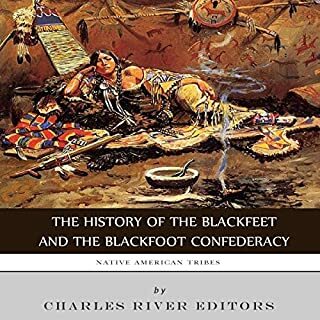 The narrative of American history is incomplete without the inclusion of the Native Americans that lived on the continent before European settlers arrived in the 16th and 17th centuries. Among these groups, one of the most famous is the Mohawk, who refer to themselves as Kanien'kehá:ka ("People of the Place of Flint"), but pop culture has a very different image in mind when it comes to the Mohawk. Those unfamiliar with the group associate them with the conspicuous Mohawk haircut, and images of a warlike people who scalp their enemies are still evoked. From the "Trail of Tears" to Wounded Knee and Little Bighorn, the narrative of American history is incomplete without the inclusion of the Native Americans that lived on the continent before European settlers arrived in the 16th and 17th centuries. Since the first contact between natives and settlers, tribes like the Sioux, Cherokee, and Navajo have both fascinated and perplexed outsiders with their history, language, and culture. 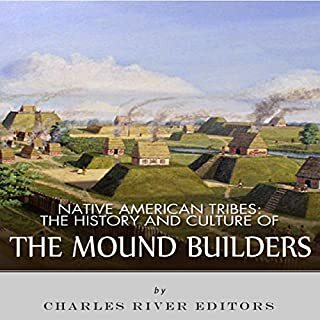 In Charles River Editors' Native American Tribes series, listeners can get caught up to speed on the history and culture of North America's most famous native tribes in the time it takes to finish a commute, while learning interesting facts long forgotten or never known. 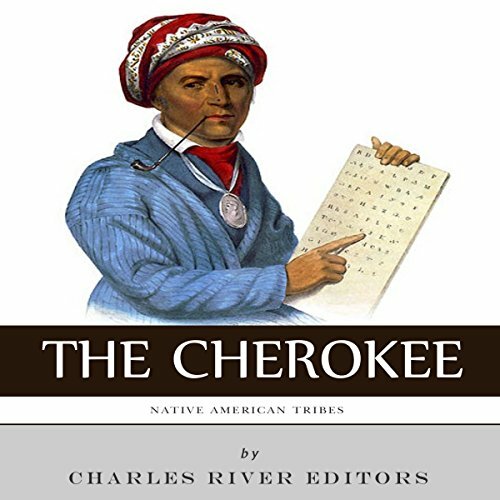 Native American Tribes: The History and Culture of the Cherokee comprehensively covers the culture and history of the famous tribe, profiling their origins, their famous leaders, and their lasting legacy. What didn’t you like about Scott Larson’s performance? The narrator was a bit abrasive and pretty opinionated in his way of speech. 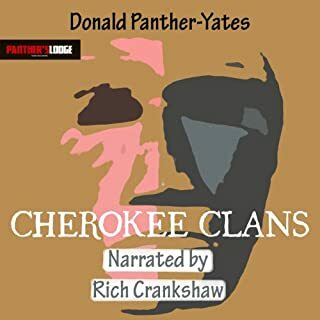 I really liked the Comanche book from this series, because I have it on while I work, and the narrator was calm and I could just zone out and listen to the book. In this performance, I feel like rather than have a neutral, informative tone, the reader constantly draws attention to himself with the inflections in his voice. Not what I'm looking for, and I couldn't even get through the first chapter. Very informative for such a short audiobook. shorter than most audio books I listen to but you will never look at president Jackson the same. The worse narration I have ever heard. Fascinating topic but very badly narrated. The book has little useful information but the narrator spoils even that. 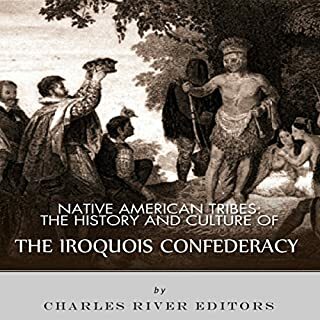 This is an Incredible book that not only gives Cherokee history from the time of the arrival of DeSoto's expedition of 1540, but also, the history of the Cherokee ideas, such as: the earths creation, Cherokee religion, government, & ceremonies. Also, some of the Cherokee language is introduced, including the individual who created the Cherokee alphabet. Absolutely a must for Beginners to the Cherokee World. Great to get more knowledge on the lead up to the trail of tears and all of the things that most only have an outsiders view of.